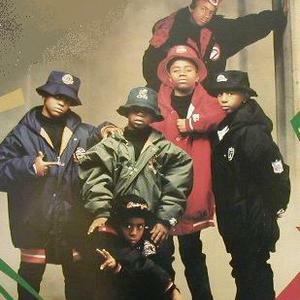 Another Bad Creation was an American hip hop and R&B musical group from Atlanta, Georgia. Made up of preteens, A.B.C. were discovered by Michael Bivins of New Edition and Bell Biv DeVoe fame. Bivins served as manager and record producer of the kiddie new jack swing act, which became a part of the East Coast Family alongside B.B.D. and Boyz II Men. Another Bad Creation comprised of Chris Sellers, Dave Shelton, Romell Chapman, and brothers Marliss Pugh and Demetrius Pugh. Signed to Motown, their debut album, Coolin' At The Playground Ya Know, was released in 1991. Bivins served as manager and record producer of the kiddie new jack swing act, which became a part of the East Coast Family alongside B.B.D. and Boyz II Men. Another Bad Creation comprised of Chris Sellers, Dave Shelton, Romell Chapman, and brothers Marliss Pugh and Demetrius Pugh. Signed to Motown, their debut album, Coolin' At The Playground Ya Know, was released in 1991. The singles "Iesha" and "Playground" made it to the Top Ten on both the R&B and pop singles charts in the US. Their second album, It Ain't What You Wear, It's How You Play It, was released in 1993. After appearing in Robert Townsend's superhero comedy The Meteor Man that same year, they faded into obscurity.